Lady Gaga is a new fragrance brand founded by singer lady Gaga. Lady Gaga presented her first fragrance in collaboration with Coty INC named Fame. The bottle is designed in collaboration with Nick Knight, and advertising campaign is shot by Steven Klein. The fragrance is available as Eau de Parfum. 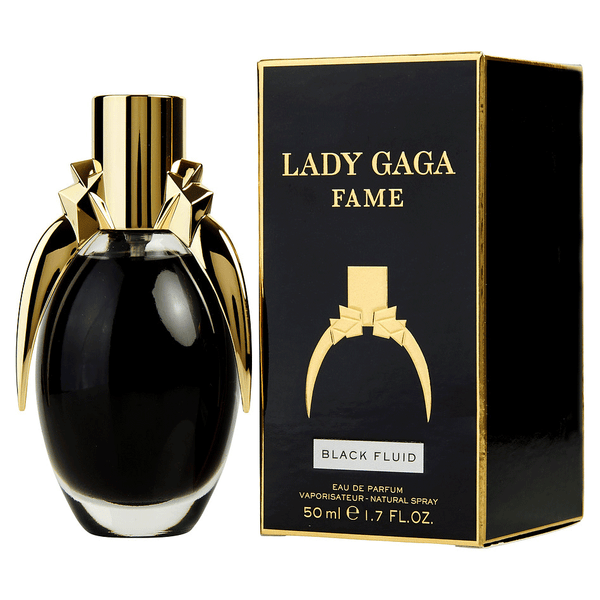 Lady Gaga Fame Black Fluid was Created in 2012. The scents are exciting and bold enough to send chill through your nostrils and take you on an old memory lane. Shop online the best selling scents by Lady Gaga online at perfumeonline.ca at discounted price. 100% authentic products.